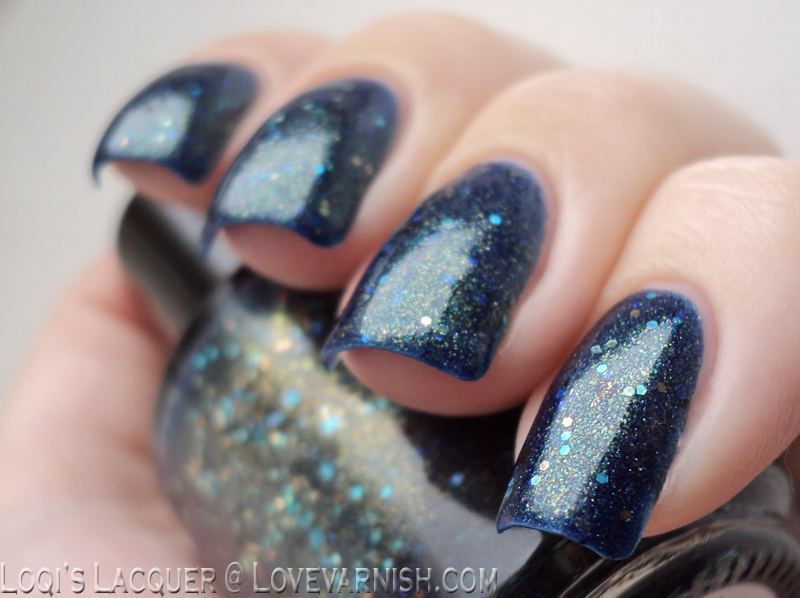 Today I am showing you a gorgeous polish from a new indie brand: Renaissance Custom Lacquer founded by Meghan from willpaintnailsforfood and her sister Laura. They were so kind as to send me 3 of their shades and I am showing you the first one today. 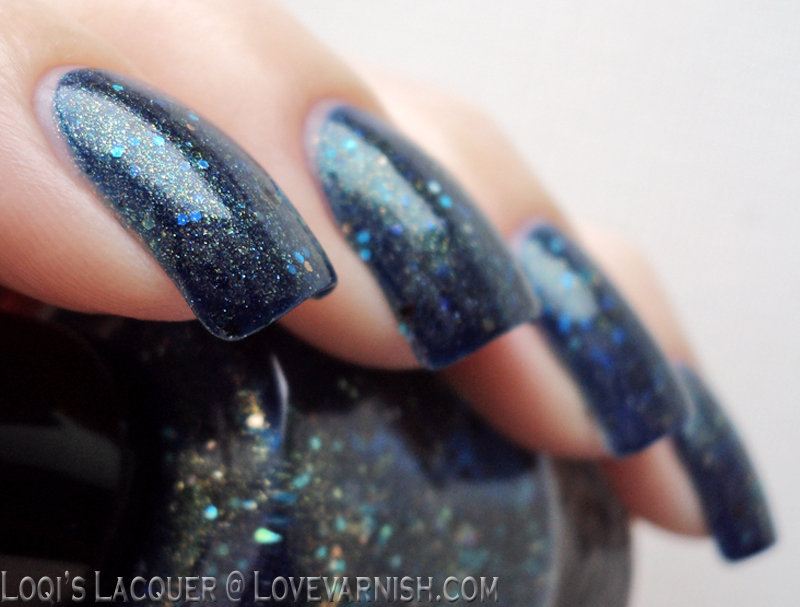 Let's take a look at Nightshade! 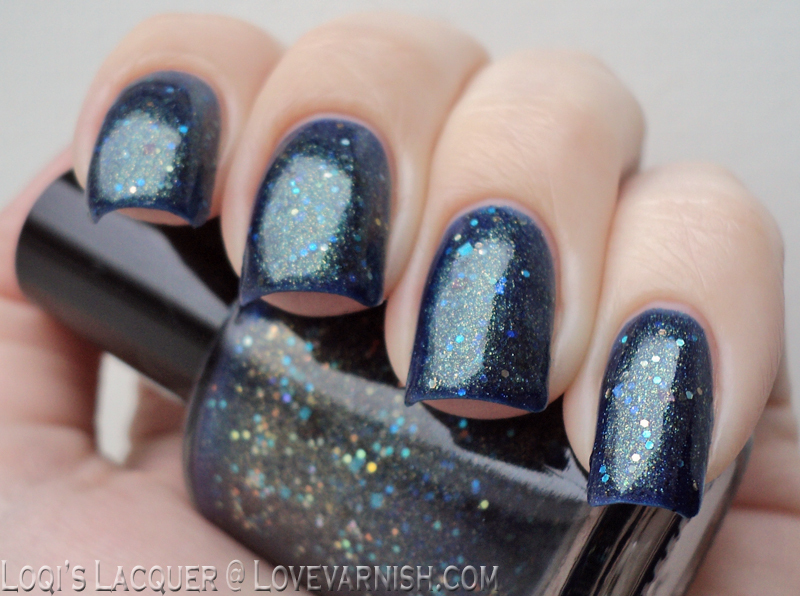 Nightshade is a gorgeous deep royal blue polish. It's packed with a lovely contrasting gold shimmer that kind of gives it a greenish hue. 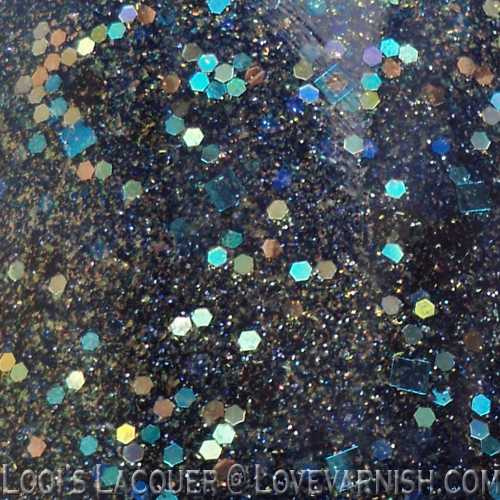 There is also round (blue, blue iridescent, and gold) and square (blue) glitter. Application was very smooth and easy. 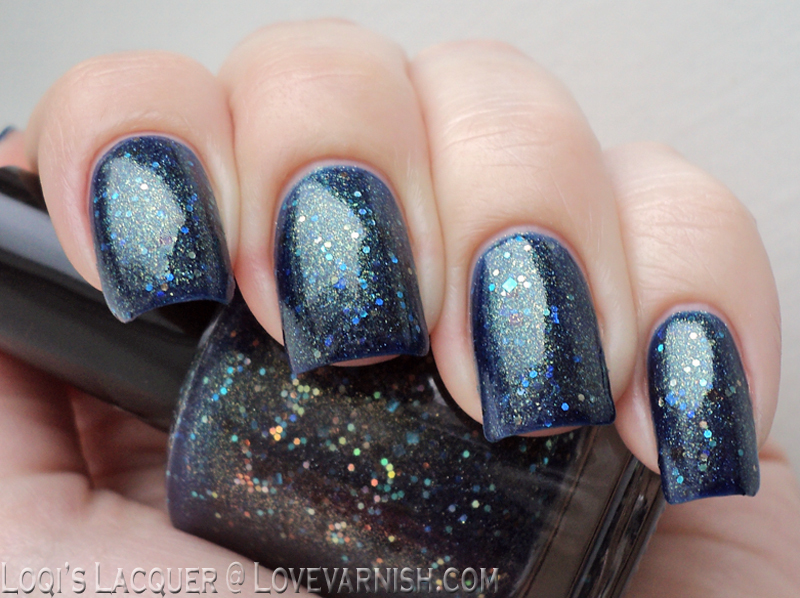 The consistency of this polish is just right and the glitter spreads out evenly and lays flat. Shown here is 3 coats. You could layer this over a similar base, but I wanted maximum depth. It's pretty shiny on it's own, but I recommend a layer of topcoat to make the golden shimmer really pop. Wear time for this polish is great. I wore it for 4 days with only minor tipwear. Removal was normal for a glitter polish and the blue does not stain. I absolutely adore this polish! I had planned to show you all 3 of the shades I got today. But I couldn't bring myself to just swatch this one and then take it off, it's just so pretty! So I didn't have time to wear the other 2 polishes yet lol. That's ok though, I prefer wearing a polish for a while before reviewing it. So what do you guys think? Isn't she pretty? Are you curious about their other polishes? I hope you guys like this post and don't forget to check back next Monday for the other 2 shades! Stunning polish!! Looks great on you! Yes! This went straight to my favourites list! I am really impressed by their polishes! I'm wearing one of the 3 I got at the moment, I love them!